It's better to leave a pile of chocolate wrappers by the bed than it is to leave a pile of regrets. This, among other things, is the theme of "This and Every Day," the latest ad from Mars brand Dove Chocolate. Created by BBDO New York, the work follows a woman through 24 hours, a bite-sized period of time that encapsulates a full life—we meet her as a child in the morning, and leave her, silvery and smiling, in the evening before the cycle begins again. In the background, Edith Piaf's "Non, Je Ne Regrette Rien" ("No, I Do Not Regret Anything") trills, tough and vigorous. There aren't any lines of dialogue, but if there were, we're sure the ad would have passed the Bechdel test: As she flits from age to age, our protagonist artfully bypasses the benchmarks of an established life. You don't see professional successes. There is no love story, no man guiding her footsteps. Her weight doesn't seem to be a primary concern, and she will not be surrounded by grandchildren. Instead she floats through her city in a turquoise dress, engaging in whimsies and small pleasures—an agent in her own story. The ad concludes with a cliché that, given the theme, happens to work: "Live each day as if it's the only one." "Edith Piaf's lyrics of enjoying life without regret are as true today as they were when she first performed the song," says brand director Kerry Cavanaugh. "We all need to be reminded to take a moment to savor life's everyday pleasures, big or small, like unwrapping and enjoying the signature taste of Dove Chocolate." We do that with Reese's. Hope Dove doesn't mind! What's pleasant about "This and Every Day" is that it isn't trying to find the best possible speech to get our minds right (recent work from Unilever's Dove, the beauty brand, comes to mind—though there's no relation to Dove Chocolate). It's a small, emotional glimpse into a life punctuated not by battles or benchmarks but by small delights—a game of darts with friends, cutting your own bangs (a dangerous pastime), skateboarding down the street, eliciting smiles from strangers, chocolate. The woman isn't conventionally pretty, but neither is she unconventional. She's slim and smiling, the way a lot of people think (and will often say) women should be as they go about their business in public. And it's true that all the passersby she charms—teetering over bannisters, gliding into buses and skipping through protests—are men and boys. Some vestige of a male ideal lingers here, thick but insidious under the tale of a free feminine spirit. Still, as a lesson in flirting with convention and ultimately escaping it, it somehow still feels curative. Like a piece of dark chocolate melting against your palate, it goes down more smoothly, more kindly, than yet another call to arms. We need balms like this, too. 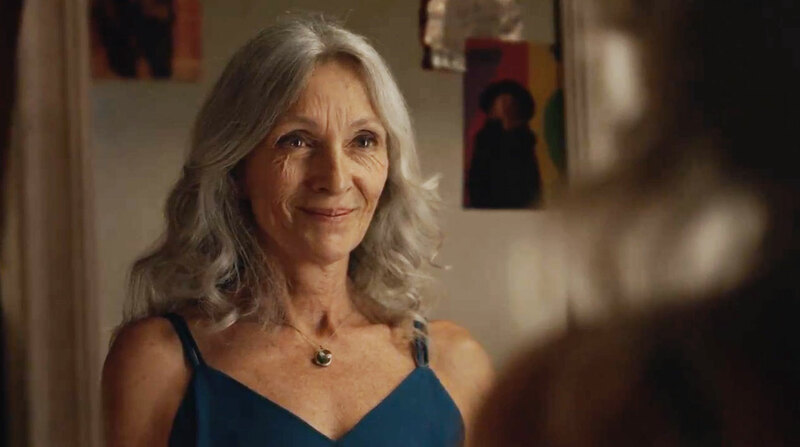 And maybe, one day, we'll arrive at a point when an ad about a woman aging, single, happy and free of regrets, is neither unusual nor obliged to pay lip service to the approving gazes of men. The 60-second version appears below.